In stock -This product will ship today if ordered within the next 8 hours and 7 minutes. Made from bamboo & rice husks, this biodegradable cup is earth friendly and cute! With a matte finish and a familiar face, it is perfect for hygienically storing Jack N` Jill products in the bathroom, rinsing after brushing and even that midnight drink of water! Bamboo powder & Corn starch Printing is on rice paper. Each character is hand cut, and placed on cup by hand prior to it being heat pressed into the surface.The powders are blended together and heat-pressed into a form. Stores toothbrushes, toothpaste, and much more! Dishwasher safe on top shelf only. Not suitable for the microwave. 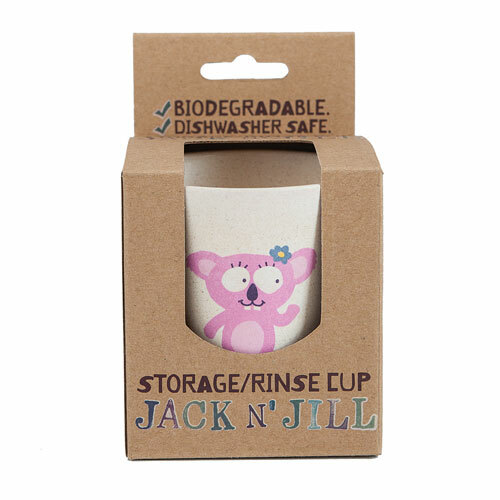 Below are reviews of Jack N` Jill Rinse/Storage Cup - Koala by bodykind customers. If you have tried this product we'd love to hear what you think so please leave a review. 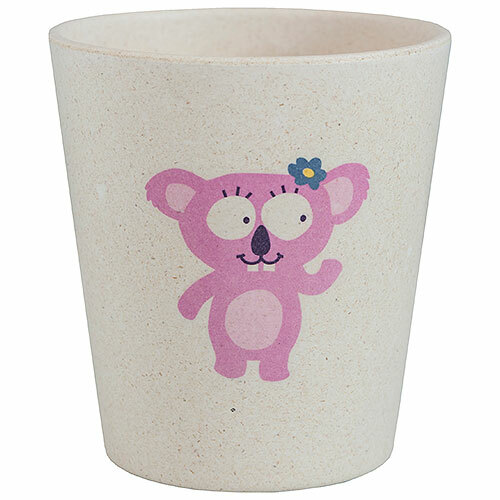 Made from bamboo & rice husks, this biodegradable cup is earth friendly and cute! With a matte finish and a familiar face, it is perfect for hygienically storing Jack N` Jill products in the bathroom.